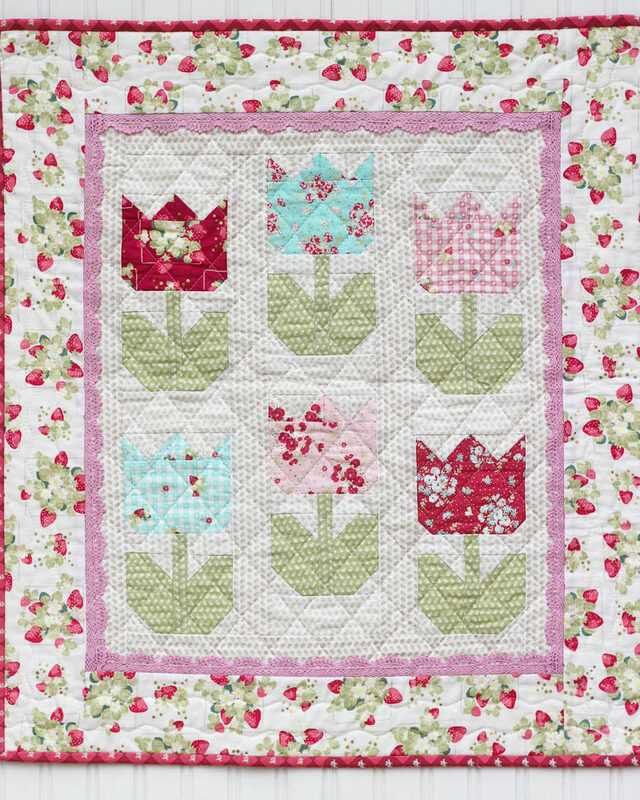 Tiny Tulips is a simple quilt that can be made in a day and hangs beautifully on a wall to bring the lovely blooms of Spring year round. 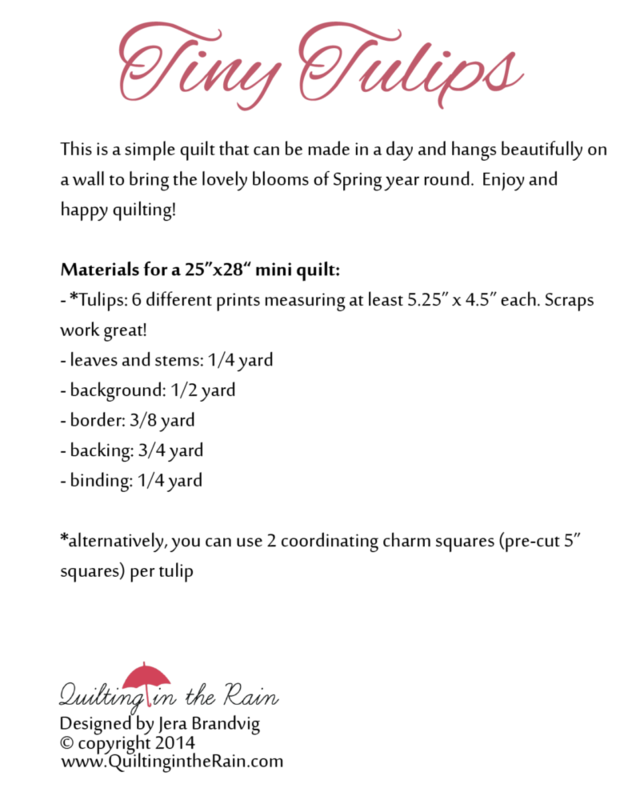 Enjoy and happy quilting! 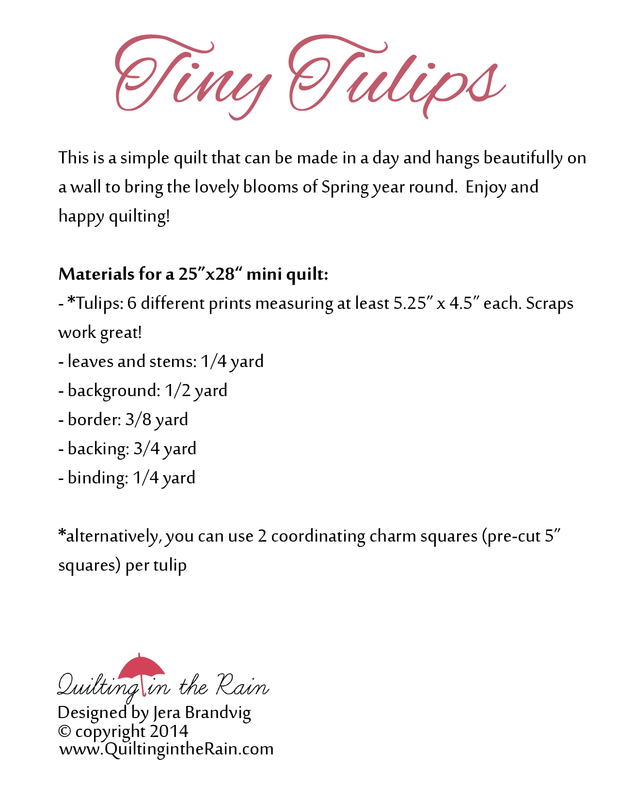 Tulips: 6 different prints measuring at least 5.25″ x 4.5″ each, or alternatively you can use 2 coordinating charm squares (pre-cut 5″ squares) per tulip. 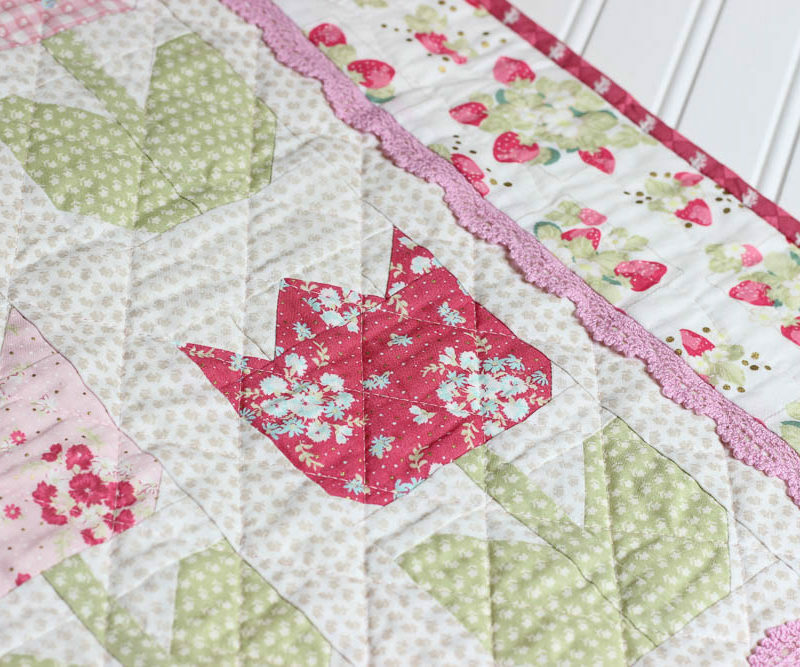 Scraps work great! Fabrics used in this digital quilt image are from my High Tea Collection for Lecien Fabrics. 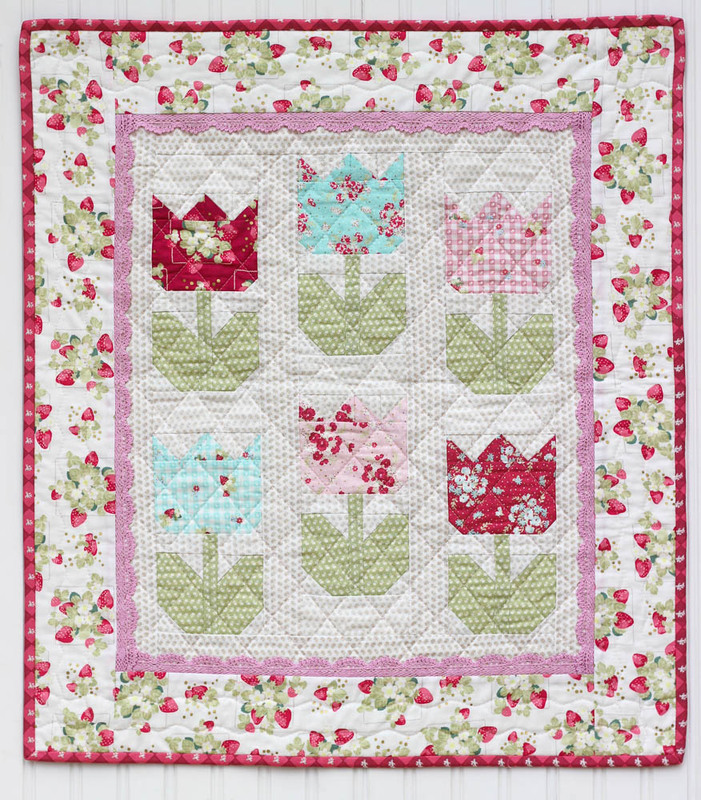 Note: The Tiny Tulips quilt photo was made by Kristin Esser using fabrics from my 2nd collection called La Conner. 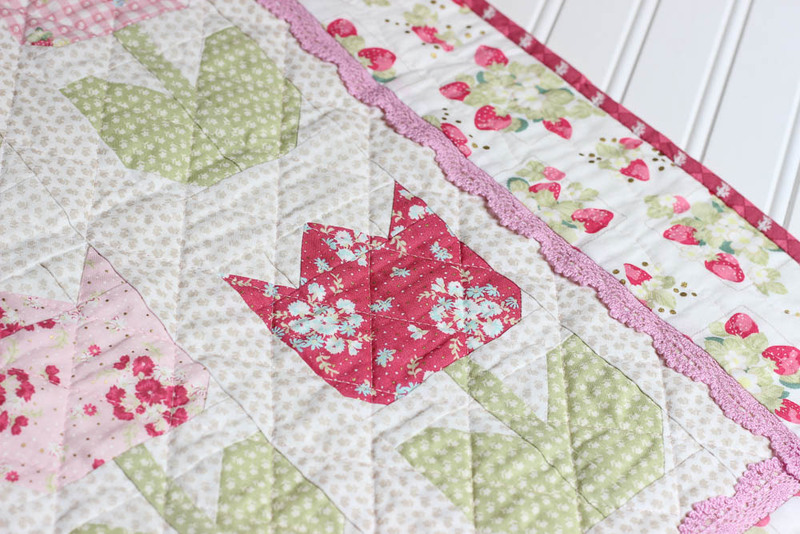 Kristin used La Conner lace embellishment around the inner edge. 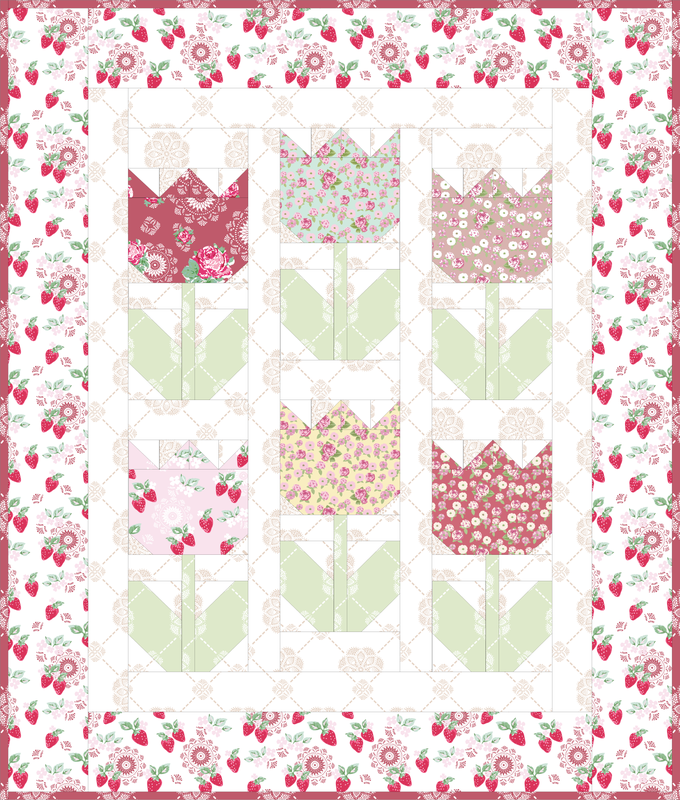 Delightful a perfect way to bring spring back as the winter months drag on. 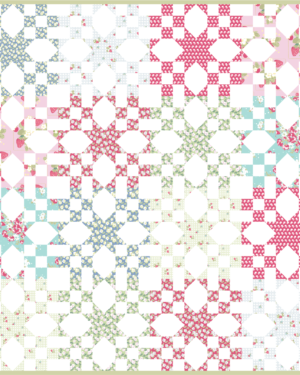 I purchased this pattern on Sunday evening, but have been unable to determine how to download it. Problem solved. Thank you!!! Can’t wait to get started on this delightful project!